In tough times farmers can look to healthy soils for help. Soil quality pays dividends, and in today’s tough economy farmers who have focused on improving it are cashing in on the benefits. They’re finding healthy soils lower input costs, increase yields, allow diversification, and add profit potential. Michael’s innovative approach soon spread to the rest of the Thompsons’ 4,000 acres of crop and range land. “We use a mob grazing system where the cattle are moved every two days. This leaves plenty of residue to cover the soil and provide carbon to build soil organic matter levels, “ he says. “The infiltration rate on our soils has increased tenfold — from 0.2 inches per hour to 2 inches. And, our residue cover reduces the soil temperature which limits moisture loss to evaporation. All these factors have allowed us to add corn to our rotation and made crop yields more resilient in times of drought,” says Thompson. More profit. Fertilizer and chemical savings add to the benefits of a healthy soil. “We get 30 lbs. of nitrogen, 6 lbs. of phosphate, and 3 lbs. of sulfur per acre for each 1% of soil organic matter. 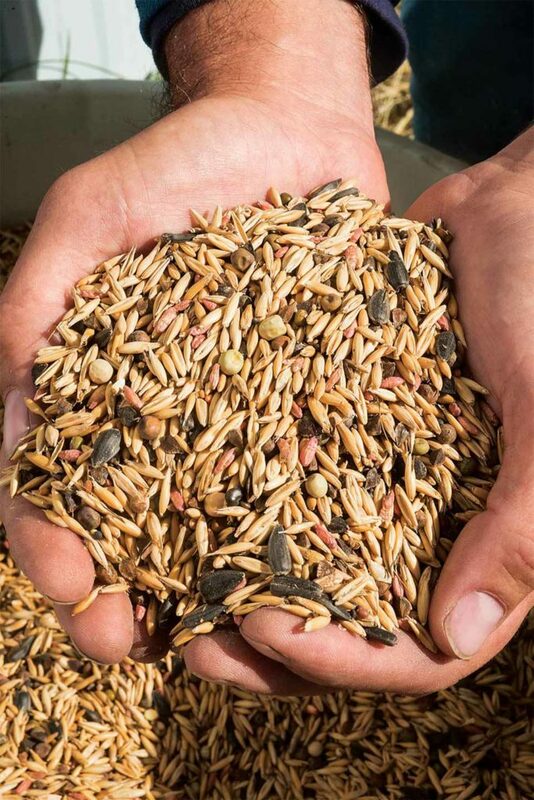 And, the deep-rooting species we include in our cover crop mixture cycle nutrients back to shallower depths where crops can use them,” says Thompson. Thompson plants a crop of rye after corn harvest. 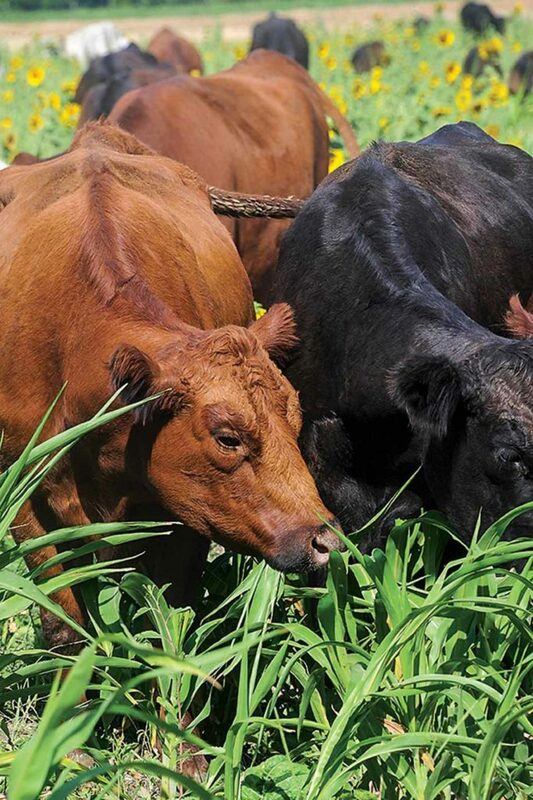 After wheat, he uses a mixture that includes legumes, grass, and broadleaf species with varying root depths to cycle nutrients, create residue, and provide grazing. The bottom line is that Thompson’s cover crop program has reduced the farm’s nitrogen cost to produce corn from $56 per acre to $35; phosphorus from $27.20 per acre to $0; and herbicide cost from $40 to $25 compared to growing no-till corn. When everything matters, you do everything right.